Seven months after the launch of Windows 8, Microsoft can finally confirm that Facebook will bring an official version of its social-networking application to the platform. Microsoft CEO Steve Ballmer made the announcement during his keynote address at the company's Build 2013 developer conference in San Francisco, though he didn't provide timing on the pending release. 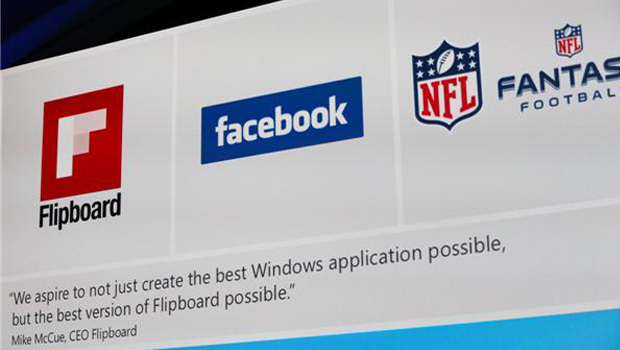 The platform's first official Facebook application will be designed by the social network and built initially for Windows 8 tablets, likely with a fall release date, a Facebook spokesperson told CNET. It's unclear why it took so long for Microsoft, which owns a stake in Facebook, to offer an app on its mobile devices. Microsoft will hit 100,000 apps on Windows 8 "within this month," Ballmer said Wednesday. Eventually, the platform's list of apps will include Flipboard and NFL Fantasy Football, which are also currently in the works. This post originally appeared on CNET. Jennifer Van Grove reports on social media for CNET. She previously worked for VentureBeat, Mashable, and NBC San Diego.